Characteristically intense flavours of mint blend beautifully with the mellow astringency of green tea. This bright and light green-coloured liquor is best savoured post meals to aid digestion. High in antioxidants, the mint gives it a uniquely rich feel after every sip. This rich blend of unfermented long leaf is irresistible once it meets a cup of steaming hot water. 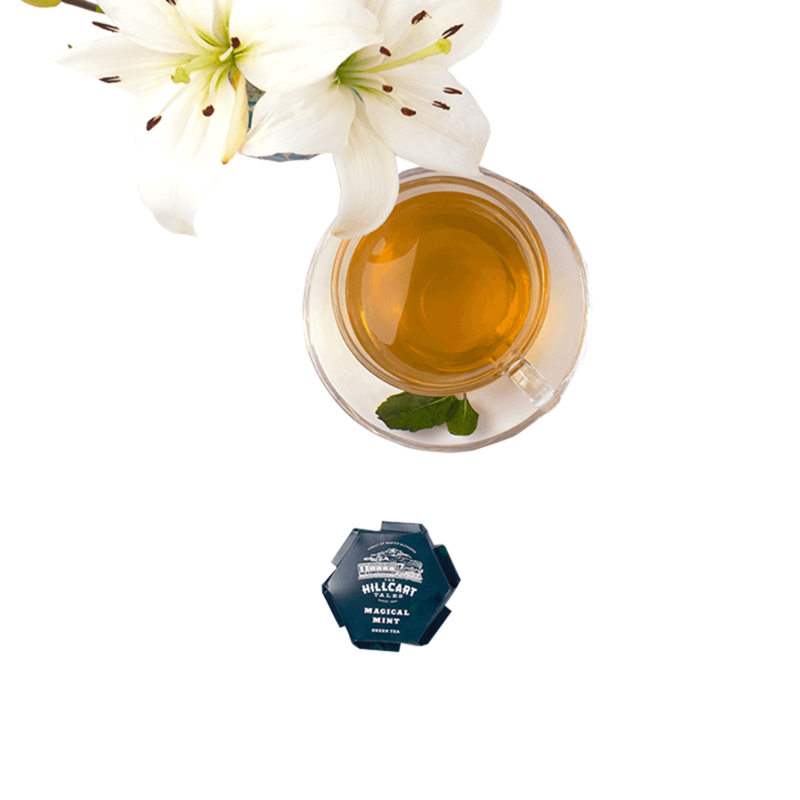 Harmony of nuanced flavours come together in this cup of soothing mint tea. A classic blend of contemporary flavours, this perfect brew is best enjoyed with savoury accompaniments. Best consumed for a soothing effect after a meal. Savoured as a light brew with no milk or sugar. Fragrant and aromatic, Spice Carnival blends into a dense medley of exotic Indian spices. A soothing green tea blend with an Ayurvedic twist of Indian holy basil. Curating an exceptional tea experience, we inspire connoisseurs to discover the decadence of tea. Celebrating the fine art of tea blending, we give each brew its own distinct character, flavour and taste. 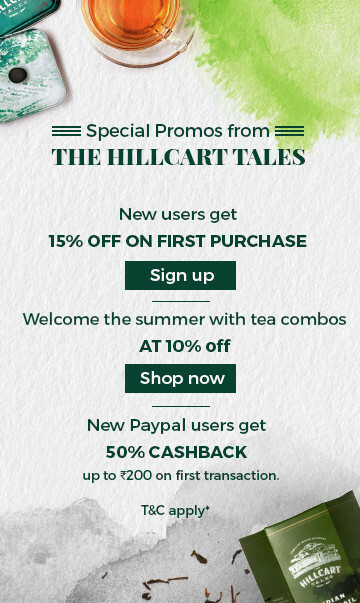 This helps us build an unforgettable, spellbinding symphony of flavours, the one that is unique to The Hillcart Tales.